1 Roger C. Shank Famous Sayings, Quotes and Quotation. We can tell people abstract rules of thumb which we have derived from prior experiences, but it is very difficult for other people to learn from these. We have difficulty remembering such abstractions, but we can more easily remember a good story. Stories give life to past experience. 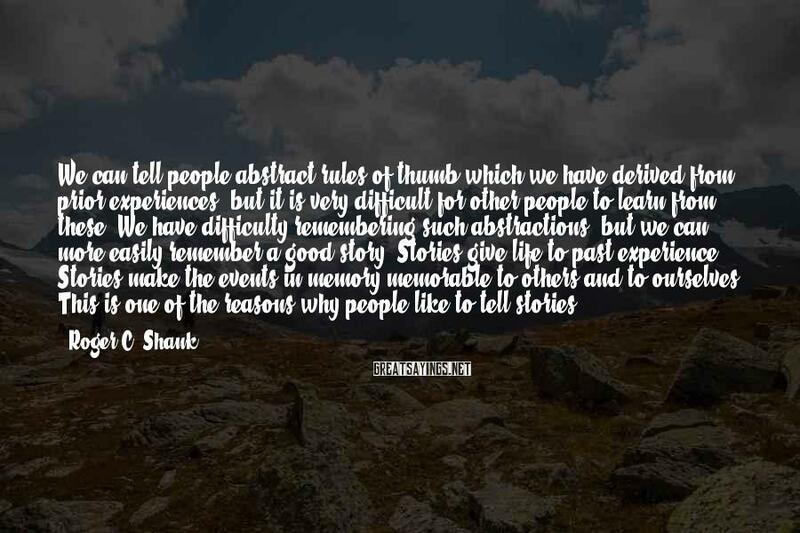 Stories make the events in memory memorable to others and to ourselves. This is one of the reasons why people like to tell stories.